Social media marketing has entirely changed the way businesses were done and has given a whole new approach to strategies various business plans. Out of the many, Instagram is one of the popular and trending platforms relied upon both the marketers and consumers for sharing photos. Thus, the Instagram Business Account comes in the picture. 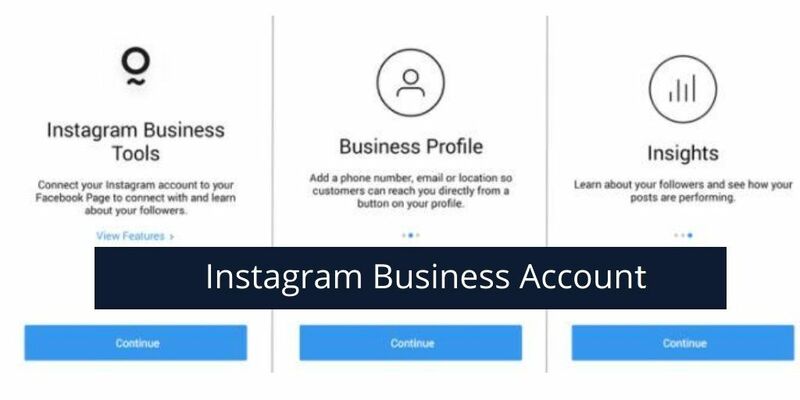 What is Instagram Business Account ? In simple language, these are the accounts which are recognized for business. Basically, the Instagram business profile is Instagram’s free feature for the brands so that their accounts can be visualized for business. These profiles are quite different than the personal profiles as they offer some amazing features like a contact button, ad targeting, Instagram analytics, etc. to the profile. In the present time, nearly 15 million businesses are relying on and using Instagram business accounts for reaching to their target audience by using unique visuals. Though, there are many marketers who are on the other side and are still resistant to using these Instagram business accounts. But, this doesn’t make these accounts any lesser amazing than they are and to offer the desired benefits to the marketers. Access to Instagram ads, etc. Aren’t these benefits quite worth to try the Instagram business? Most of the marketers are aware of the importance of representing great visuals to the customers and thus slowly and steadily Instagram Business profiles are becoming one critical aspect of business backbone. If you have any experience with the Instagram business accounts, then please do share them as well.